Who does not like a stone that sparkles ESPECIALLY a diamond! We at Prins & Prins not only want to add to that special time in your life, be it an engagement ring, or special gift for a birthday, anniversary, or Christmas, but education for our future generations are also very important to us. As of this year, Prins & Prins Diamonds proudly hosts the Grade 5 class of Mountain View Academy annually, as part of their curriculum, covering South African Mineral Resources and Mining. 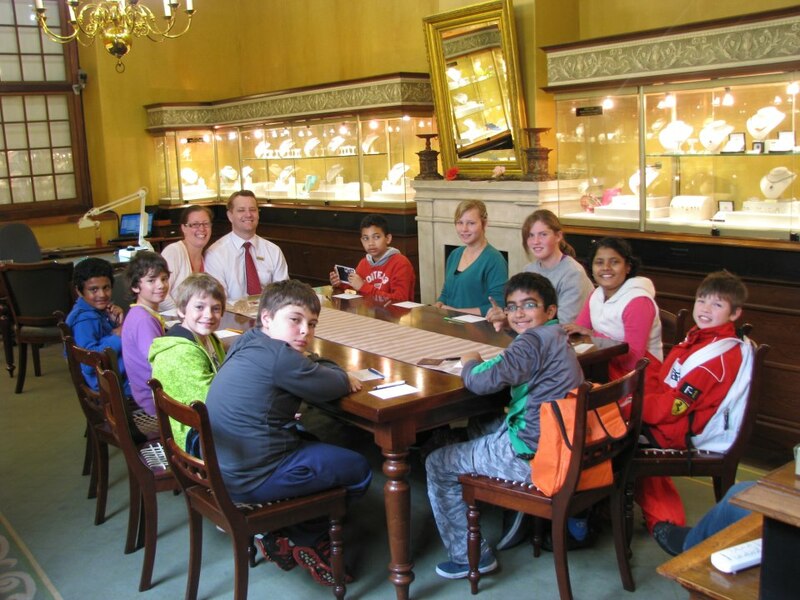 On their first visit to us everyone had loads of fun, learning and seeing how diamonds are formed and mined, learning about our rich GOLD heritage, etc. They were joined by their teacher Natasha Wright and the eductaional was conductedby one of our diamond consultants Leonard Arendt.We look forward to the next class to visit us! Please feel free to contact us on 0214221090 to arrange a visit for your children/school.